Home 2016 Why does the World Shadow Government destroy its own home (planet)? Don’t these people live on the same planet, work in the same world, and play on the same turf as the rest of us?! Don’t they drink the same water, eat the same food, breathe the same air? Why? … WHY?! … … WHY ?! If ever there was a 64,000 dollar question, THIS IS IT. Why would TPTB (The Powers That Be) destroy their own home … ruin their own living environments … spoil their own stretches of beautiful and pristine beaches, and mar their mountaintop enclaves. Does acid rain somehow avoid their hidden chalets? Do oil spills decide not to wash up on their private shorelines? Do the different vectors of dissemination of radioactvity conveniently discriminate in their favor? If there is one question which permeates every nook and cranny of the alternative internet culture and is asked more than any other, this is the one in 2012. Why do those who populate the peak of the New World Order hierarchy pursue an agenda of relentless planetary destruction? There are three primary reasons why the World Shadow Government has permitted the unmitigated and ongoing destruction of the planetary environment … on every level … in every sphere of life … on every continent … in every ocean. There are in fact more than just these 3 reasons, but these are the prime movers. These are the underlying, overarching explanations, which simply cannot be refuted. I. End-Time Madness prevails around the world during the end of the every Kali Yuga. II. The Kali Yuga is always known for a proliferation of mind-altering drugs and chemicals, coupled with genetic mutation and years of inbreeding among the ruling families. III. The end days of Kali Yuga are always defined by societal degeneration, environmental destruction and technospheric breakdown. How do these three statements inform the previously stated fact of life on Planet Earth in 2012? That those who reside at the pinnacle of worldly power have clearly allowed, and even encouraged, the systematic destruction of the entire earth realm. Those who operate at the peak of the Global Control Matrix (GCM) are subject to all the same daily influences that you and we are. They suffer the same ailments, eat the same food, and grow old in the same ways. Since they are vulnerable to the same environmental risks and dangers, health-undermining co-factors and variables associated with life in the 3rd density as the rest of us, they do get sick just like everyone else. The many life-threatening diseases and chronic illnesses, which abound throughout the world today, are not safely avoided by them. In fact, the stresses that exist at their level of planetary administration are many and diverse. The pressure is actually pretty darn high … all the time. When you’re so challenged mentally, emotionally, psychologically and spiritually, and you’re in the driver seat within the GCM, you can imagine the degree of stress. No, you really can’t. We’re talking LOTS of stress, which always serves as the number one trigger for all that ails us (humankind) here on earth. What’s the point? Once these folks are captured by their fancy version of the healthcare system, their physical health and mental faculties will deteriorate. Just as the rest of society experiences physical degradation after being regularly exposed to the health- destroying toxicities associated with the medical-pharmaceutical complex. Because they do have privileged access to the best and the brightest throughout science and medicine, they are vulnerable to all of the flawed approaches that the ‘best’ science and medicine can buy. The same pharma-medical complex, which has forever captured them, also has ways of ensuring that no one ever leaves the reservation, especially at their level of involvement. Therefore, you can imagine how being locked in for life can feel rather suffocating, particularly for those who have a more refined code of ethics and are independent thinkers. When one is born into the upper echelons of the GCM or WSG, and nothing but your last name keeps you imprisoned in such a system of leadership over global management and control, the experience will inevitably become oppressive. And so it does! To the point where each individual is trapped in a crucible of sorts which has its own unique set of trials and tribulations. Of course, these positions also come with awesome perqs which are illusory at best, personally destructive at worst. How deeply do we have to explore this subject to adequately answer the question in the title? As we retrospectively view the history of the planet over the past 100, 1000 or 5000 years, we see a landscape littered with the ravages of war, conflict and awesome oppression. There are so many examples of mass murder and massive theft of resources on such a grand scale that one sometimes wonders if this place might be hell. Of course, it is only a hell for those who created it and surely those who run the place have always played a major role in the tragedy side of life. But not without many of us acting as accomplices, wittingly or unwittingly. In any event, we only need to visit an oft-repeated definition for insanity to really understand who’s been in charge of the realm for all these years. These three lists are by no means exhaustive, but each is illustrative of just how much crazy mischief TPTB can make in a fairly short period of time. This conduct, however, is exactly what we’re talking about when we say insanity is doing the same thing over and over and over again. When will these controller types ever get with a new program? Perhaps not in our lifetime, they’ve been in power for so long. Yes, they will probably be Crazymakers for the rest of their lifetimes, unfortunately. We assume that you now more fully comprehend the notion of End-Time Madness. While it does come in many shapes and sizes, TPTB usually exhibit very similar symptoms which can be observed in their handiwork as listed above. Hopefully we all agree that the behavior delineated above qualifies as full-blown madness, clear-cut insanity and downright craziness, whichever you prefer. II. The Kali Yuga is always known for a proliferation of mind-altering drugs and chemicals. Likewise, environmental radioactivity and electro-pollution also pervade the global habitat. This status quo is coupled with an epidemic of genetic mutation, as well as inbreeding among the ruling class. With an ever-increasing exposure to myriad manmade chemicals, especially through the ingestion of countless pharmaceutical medications and synthetic food additives, we see a derangement of mind, body and soul which threatens the entire civilization. Recreational drugs, such as caffeine, nicotine, alcohol, marijuana, LSD, amphetamine, as well as their many new synthetic versions, have become a permanent fixture in our society. All taken together, their aggregate use puts the entire order at great risk. The unbridled proliferation and use of chemicals throughout the entire civilization has likewise put the health and life of the global population in great danger. The human body was simply not designed to process and detoxify such a steady onslaught of chemical assaults. As these chemicals and compounds, pollutants and contaminants, toxins and poisons begin to bio-accumululate over generations, the gene pool becomes degraded, as the quality of life of each individual precipitously declines. Eventually, the people (especially the leaders) become so inundated with chemical exposures that their ability to respond to life and its challenges becomes short-circuited. Three very significant and profound developments occur in the process of societal devolution. Each of these inevitable outcomes applies particularly to those who staff the World Shadow Government. Another upcoming essay will thoroughly elucidate the multi-decade plan to create a drug culture so entrenched that it functions, in and of itself, to ensure that the orders of the World Shadow Government are always carried out. Willingly and without complaint is how a great majority of people go about their day, because of how they have been sufficiently anesthetized, relentlessly desensitized and chemically lobotomized. This third and last answer to the question in the title is as causal in nature as it is an effect of the very nature of the Kali Yuga. You see, the Kali Yuga is the final age of an epoch which is punctuated by the “twilight period” of this Age of Quarrel (aka Kali Yuga). This grand epoch is composed of four yugas and includes the three yugas preceding the Kali Yuga. Each of these progressively shorter yugas descends into times of greater chaos and disorder. Ultimately, the epoch reaches completion with the end of the Kali Yuga, culminating with the appearance of Lord Kalki during the final twilight period. Yes, He has come and gone, and only a very few knew of his earthly incarnation. The obvious political anarchy, social pandemonium and economic/financial mayhem which exists everywhere around the globe is a reflection of this Age of Conflict. The longer the status quo is allowed to continue, and the more the global population increases, the greater the magnitude of problems on every front. Competition for scarcer resources coupled with unparalleled earth changes only serve to magnify the awesome challenges we face as a world community. More than ever, humankind is being compelled to live in harmony and peace to address these obstacles. Instead many are moving in the opposite direction. This is the result of man’s inhumanity to man as witnessed throughout so much of today’s ‘civilization’. When the human race loses it ability to think and act rationally and ethically, what else could be expected. The inexorable densification of spirit and matter over the course of the Kali Yuga is designed to produce the hapless outcomes we see all around us. Given the densifying nature of the Iron Age (iron is much more dense than gold, as well as silver and bronze) the only possible scenarios are those which we have experienced since we took birth on this blue orb. Just as the Golden Age of Satya Yuga was known for its cultural refinement and sublime spirituality, our current Age of Iron is now (in)famous for popularizing that which is truly coarse, crude and crass. The longer these societal qualities persist, the more the civilization will degenerate into outright cruelty devoid of compassion. And so it has. How does this relate to “technospheric breakdown and environmental destruction”? Social degeneration inevitably sets the stage for the degradation of the planetary environment. Likewise, lack of conscience and unsound science will guarantee an eventual cascading of technospheric breakdown. The pervasive lack of respect for life and planet will always devolve into wanton environmental devastation and the consequential ecological apocalypse. Technospheric breakdown is of course also the product of perceived existential threats to the human race, and the many flawed scientific endeavors pursued and technological innovations implemented to address them. Desperation to live at all costs, in the face of insurmountable challenges, will always drive the left brain oriented, linear thinking, egocentric mind to try and do anything possible to survive. This attitude has produced numerous technological developments and industrial enterprises which are profoundly and fundamentally defective. In that most of the foundational paradigms throughout modern civilization are inherently flawed, each contains the seeds of its own destruction. One need only review the disasters directly resulting from the Nuclear Energy Paradigm to grasp this critical point. A glimpse into the planetary consequences of the Hydrocarbon Fuel Paradigm will likewise reveal the unfolding technospheric breakdown within that realm of operation. Yes, but how does all this relate to the World Shadow Government being hellbent on destroying Planet Earth? They do have access to all the information/data that LOTS of money can buy. They control the observatories and laboratories alike. Every university and research institution operates under their umbrella with the exception of a very few. Therefore, they have access to a tremendous amount of empirical data and authoritative information which tells the true state of the planet, and the solar system. For instance, they know exactly where Planet Earth stands relative to rapidly intensifying Global Climate Change. They know all about the never-seen-before changes within the earth’s core. TPTB are aware of the many consequential astrological alignments which have been stacking up, and what kind of societal cataclysms to expect. They are fully cognizant of the power of the internet and how it has awakened many to their (TPTB) multi-millennial agenda. If you were in their shoes right now, what would you do? What could you do?! All of the financial schemes and political plots are in full cyber-space view. Much of what anyone might want to know about how we ever got into this woeful global predicament is already plastered all over a world wide web. The proverbial cat is out of the bag, never to be re-bagged, except by the upcoming shift of the Earth’s axis. What might we expect in light of their (WSG’s) previous history, and particularly in view of their future expectations for massive planetary transformation (read: Apocalypse, Armageddon or End of the World scenario)? Well, here’s their MO going forward. It revolves around one very practical matter where it concerns their ‘running’ of the world. They seek to create their own version of order out of chaos, which is all they’ve ever done for thousands of years. Also, as previously discussed, they are quite proficient at doing the very same thing over and over with catastrophic results (aka insanity). Furthermore, one thing they are not and that is clueless about just what would happen if everyone knew what they know. They have never been about sharing the truth or disseminating the facts regarding anything. It’s just not in their blood to do so. But much more significantly for themselves, they do know what would transpire all across the planet should the common man/woman become acquainted with certain eventualities. Please bear in mind that their supreme management goal has always been about control. That’s why we call it the Global Control Matrix. Ergo, the last thing TPTB wants to deal with, particularly during a predictably tumultuous end-time scenario, is uncontrollable chaos. Truly, it is visceral and widespread panic which they always seek to prevent. Unpredictable mayhem truly scares them more than anything, because they could actually get hurt. This has driven their agenda from time immemorial, just as it has driven them crazy. Just as they have always driven us crazy, yes?! If you were the top boss and knew everything that they know, would you use the worldwide media to inform the masses about the true state of affairs? It’s actually an unfair question since the reader doesn’t have a hint concerning some of the most grave and formidable obstacles facing the human race. The real serious stuff is always hidden under the cover of all the apparently ‘bad’ news you see on the front pages and evening news. From our seat, we do not in any way justify their actions. However, we do understand the pickle that they are in, especially as we approach the final end of the Kali Yuga. Also, we are well aware that they cannot proceed with any plan or course of action unless allowed to do so by the Highest Power — spiritual power, that is. *Kali, the Goddess of Hindu spirituality is also known as the Destroyer of false consciousness. Sometimes this play of Consciousness is a comedy, other times a tragedy; nevertheless, each act, each performance contains its own perfection. The lessons which can be learned throughout the Kali Yuga can only be learned during a Kali Yuga. Just as life during the Golden Age offered the perfect setting for those souls who needed to receive the experience of a truly golden age. The Bronze Age preceding our current era was also defined by a gradual degeneration of the natural order and declining adherence to spiritual truths. Which is exactly what every soul incarnation experienced during the Dwapara Yuga (aka the Bronze Age). Every civilization sits on an undergirding philosophical foundation of sorts. Therefore, the extent to which the fundamental systems of philosophy, religions, and spirituality are unsound will be reflected in all the institutions and structures which society builds. Likewise, the degree to which those institutional blueprints are inherently flawed will also show up in the functioning, or rather dysfunctioning, of the society. When the foundations are laid by individuals whose thinking is skewed toward self-interest, greed and is fear-based, we see the results all around us. Conversely, when the necessary systems and institutions are constructed on the basis of egocentricity, instead of respect for all life and reverence for the immanent Divine, we again can plainly see the consequences. 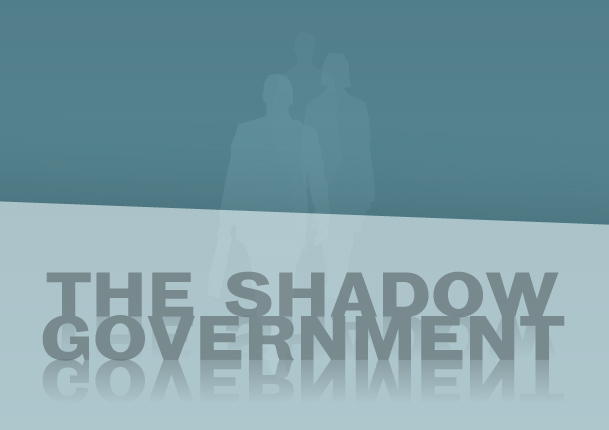 Why does the World Shadow Government permit the ruination of its own living environment? This Description of the Kali Yuga (aka the Age of Quarrel, the Iron Age, and the Age of Conflict) has been assembled from a variety of Hindu and Vedic scriptures. Therefore, the many defining features, cultural phenomena and aspects of human conduct are written about within the ancient contexts of the various authors. Nevertheless, this portrayal of the Kali Yuga is still quite accurate and to the point. 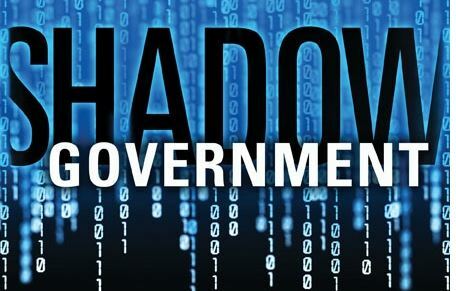 Conspicuously absent from these revelations about the competence and efficacy of the World Shadow Government is the obvious inevitability of things to occur on Planet Earth by virtue of paths chosen at the outset of the Industrial Revolution. Unknown to many, the Industrial Revolution (IR) was completely engineered by the WSG. It exerted as much control then as it does today; albeit, in a much broader and more sophisticated way in 2012. The decisions taken at the inception of the industrialization of the world set the stage for all that we experience today. In other words, once the Global Oil & Gas Industry was given its place of prominance to fuel the worldwide enterprise known as the Industrial Revolution, the global infrastructure and superstructure were constructed to accommodate that decision. Hence, the Hydrocarbon Fuel Paradigm represents the predominant energy source across the planet. In light of this reality, what can be done at this late date to free the planet from such a destructive energy paradigm? Particularly in the midst of a global economic depression, such a necessary transition away from oil and gas would surely deal a death blow to all the fragile economies that rely on petrodollar revenues. The WSG knows this of course, and also relies on the very same revenues to grease many of their many covert operations. This same assessment is applicable to the Nuclear Fuel Paradigm, as well as other basic societal paradigms which are deeply flawed. Many of these other paths to which the WSG overly committed the civilization also cannot be undone without tremendous hardship and sacrifices for every resident of Planet Earth. Now many are saying: Let’s just transition to free energy! And we say go for it. Everywhere it can be done, just make it happen. Getting off their energy grid — forever — is certainly the best and quickest way to take back our power … individually and collectively … literally and figuratively. The BP Gulf oil spill was a defining moment throughout the current and unprecedented revelatory period of how the WSG actually works. Many of us worked on the remediation of the Gulf and we were shocked to see the apathy and lack of involvement on the part of the rich and famous who own extensive beachfront real estate and expensive mansions along the entire coastline of Florida. Bear in mind that the stretch of shoreline from Stuart to Miami is considered by insiders to be the stomping grounds for many of the world’s richest and most influential power families (We’re talking the original Illuminati clans). And yet their response was mute throughout the course of that catastrophic spill, as it is up to this very day. In the end, many of us determined that the coordinated BP and US Government response to the BP oil spill disaster was taken at the behest of these very same controllers and powerbrokers who basically own the peninsula of Florida. They’re all about the pharmaceutical culture, so why not just disappear the oil with Corexit. That way it won’t wash up on the beaches and bring down the property values. Nor will it foul the waters on the surface with oil slicks. Again, just sink the oil no matter that it will kill off the marine life; just as long as it does’t show up on the beach or on the hulls of the fancy yachts parked in the marinas up and down the Florida coastline. Never have the intentions and modus operandi of the WSG been so transparent with regard to grave environmental concerns than during the BP Gulf oil spill. Owning a $45 million island home off the coast of Miami in the middle of the largest oil spill in North American history becomes a radically altered investment, doesn’t it? We did not take up the topics of genetic mutation or inbreeding among the ruling class because each is worthy of its own separate essay. We all know what multi-generational inbreeding will cause to the progeny. The many ruling families of the plutocracy/oligarchy have been fastidious about keeping it all in the family for many centuries. This policy has been pursued with dire consequences to the mental, emotional and psychological health of entire bloodlines. The physical and constitutional health has likewise suffered greatly. It’s therefore much easier to view their circumstances with understanding and compassion. Any one of us could have been born into any one of these Illuminati families. Actually, some of us were, and that’s why they write and reveal this type of esoteric and long-kept secret information! As for the genetic mutation component of this story, it’s not difficult to comprehend how generations of under-the-radar genetic mutations and their subclinical symptomatology will eventually translate to fuzzy thinking and fuddled feelings. Among the masses, we see evidence everyday in the outpicturing of this hidden dynamic in the form of some very wild and crazy behavior. Therefore, it is quite easy to deduce that when the same phenomena occur throughout the WSG, all hell can break loose, at any time, in any place. And so it does, with increasing regularity. The Kali Yuga started approximately in 3102 BCE. That means that currently 5113 years have elapsed. Going back to above, that means there are still 426,887 years left in the Kali Yuga. 2012 is nowhere near the end of it. *Kali Yuga is quite often erroneously referred to as a 432,000 year period by scholars who are simply repeating a gross miscalculation in the underlying mathematics of the relevant scriptural pronouncements on the cyclic progression of the yugas. The actual duration of Kali Yuga has been determined to be somewhere between 5000 and 5200 years long not including its dawn and twilights periods. Alain Danielou offers an authoritative treatment of this subject matter in his book entitled “While The Gods Play”. Btw, these ridiculous miscalculations which put the duration of the Kali Yuga at 432,000 years play a part in the End-Time Madness. How could such a degenerate age like Kali Yuga possibly go on for another 426,887 years? We’ve just about rendered the whole place inhabitable already! Brilliant analysis! Thanks for posting. You seem to really know what you’re talking about. Let’s hope the age of false consciousness draws to a close soon.